Walter Frederic Brooks’ the “History of the Fanning Family Vol 1” 1905, has been summarized including parts that may be relevant to the Fanning family from Thurles, Co Tipperary Ireland. The full text of these books can be viewed online at archive.org. This information is from the first 52 pages. The rest of this book and vol 2 are concerned with Edmund Fanning who emigrated to America sometime around 1650 and his descendants. These first pages give a general account of the Fanning Family in Europe from Norman times to the Cromwellian Confiscations, 1652-3. My comments are in italics. The Fanning name is on record in Ireland from the early part of the 13th century and one of influence in the counties of Limerick, Clare, Kilkenny and Tipperary, until the general confiscation under Cromwell in 1652. (Petty’s Survey commenced in 1654 recorded the names of the owners of confiscated estates). That Edmund Fanning (Connecticut settler in 1653) is the son of Francis Fanning, Mayor of Limerick, has not been proven (in 1906) beyond a doubt but all the evidence supports this. There is no evidence to show that this Edmund was the son of Dominick Fanning (who was beheaded) as he had no son called Edmund. Recent DNA testing of an Australian direct descendant of William Patrick Fanning (born Thurles 1812 died Bulla Victoria 1876) is an exact match to descendants of this Edmund Fanning. So most likely William Patrick Fanning “Big Bill” was related to many of the Fannings from Kilkenny, Tipperary and Limerick mentioned in Brooks account and also to Fannings in Fenagh, Leitrim descended from Fannings transplanted there and also to Fannings transplanted to other counties after 1652. He is F-23 on The Fanning Family DNA Project. A Chevron Gules, between three doves proper, for Crest, on a wreath of the colours a cherub Proper. A chevron is an inverted V and Gules is the colour red and proper is a natural colour. Motto: “In Deo Spes Mea” In God Is My Hope. In 912 Rollo, chief of a group of Northmen, conquered the province of Newstria in northern France, which became Normandy. These northmen adopted Christianity and the French language. (To celebrate his conversion to Christianity Rollo is said to have had two hundred prisoners executed.) Normandy became one of the most powerful states in Christendom. In 1066 the Battle of Hastings placed William, Duke of Normandy, on the English throne. William partitioned out the whole of England amongst his officers, who erected strong military castles and sorely oppressed the English. About 100 years after the conquest of England the Normans invaded Ireland. In 1172 Henry the second landed in Ireland and received the homage of the Irish king and Irish princes, on condition they should keep their land. Henry broke this treaty and granted the whole of Ireland to ten of his nobles, by charter and Norman law. He bestowed the Lordship of Ireland on his son Prince John in 1185. This led to wars between the Norman barons and the Irish chieftains which resulted in many Norman acquisitions. These Normans were scarcely settled in their possessions when they adopted the language, habits and customs of the Irish, becoming more Irish than the Irish themselves. The Norman-English monarchs gained nominal possession of Ireland and established their government in Dublin, yet their power was confined for centuries to some seaports and to a limited district around Dublin called the English Pale. The great Anglo-Norman barons and Irish chieftains ruled like independent princes over the greater part of Ireland, It was not until the reign of James I that English law was established over the whole island. The Fanning family appears to be of Norman origins and to have come to Ireland with the first Norman settlers. The present form of the Fanning name seems to have become established in the 16th century. Then and later we find the forms: Fanyng, Fannyng, Fannynge, Fanynge, Faning, Fanyin, Fannying, Fannyn, Fanninge, Fannen, Fanan, Fannin and Fannon.There is more variation in later records than earlier. The earliest form of the name on record is Fanyn 1234-1304. In the early part of the 13th century Richard Fanyn received grants of land in Co Clare. Walter Fanning was appointed by Henry III to a commission held at Roscrea in 1245. Richard Fanning was on a commission which sat in Limerick in 1275. He had land in Clare. His son Thomas was granted land in Kilkenny in 1279. John Fanning a commissioner in 1348 Limerick. Simon Fanning recorded as a landed proprietor in Limerick 1355 and Thomas Fanning also in 1409. Nicholas Fanning was a high constable in Connello Limerick in 1426. Richard Fanning served in the Wars of the Roses & died in 1462. David Fanning was assessor of the city of Limerick in 1467. Walter Fanning is recorded as a landed proprietor in the barony of Pubblebrien in 1501. He was high constable in 1499. Richard Fanning is mentioned among the officers slain at the battle of Mourne Abbey in 1521. A battle between the forces of the Earl of Desmond and the allied chieftains of South Munster under McCarthy More. Simon Fanning is recorded as having estates in the Barony of Pubblebrien in 1532. In 1542 Patrick and William Fanning, both aldermen, served on a commission set up to inquire into the disposal of the property of the suppressed monasteries. Simon and Patrick Fanning were found to hold some of this property. Nicholas Fanning was a Clerk of the Exchequer 1541. Thomas Fanning was treasurer to Gerald, 16th Earl of Desmond was of the most powerful subject in the British Islands (owning 600,000 acres and having 500 knights in his service). Clement Fanning was elected sheriff of Limerick city in1551. and served as Mayor on 1557-8. In 1559 he was chosen to represent the city of Limerick in the Irish Parliament. He lost a great deal of property as a result of the rebellion of the Earl of Desmond around 1573, during the reign of Elizabeth I. Fanningstown , the property of Clement Fanning was confiscated in 1589. Clement Fanning had a son Patrick. 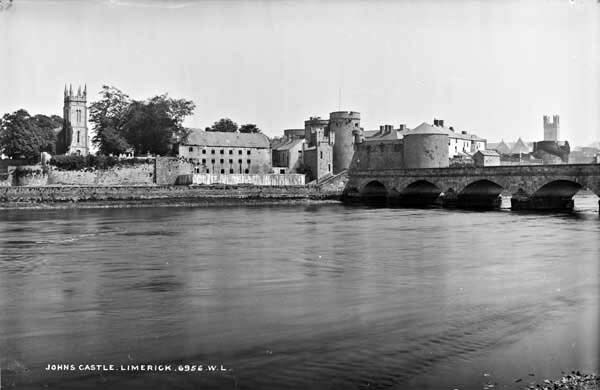 George Fanning, son of alderman William Fanning, was elected sheriff of the City of Limerick in 1564. 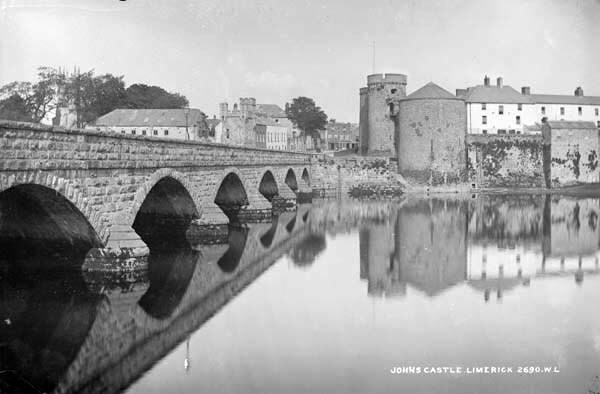 Alderman James Fanning was mayor of Limerick in 1584. Patrick Fanning, son of Clement Fanning of Fanningstown , was elected sheriff of Limerick city in 1576. His son was Clement Fanning and he was sheriff of Limerick in 1595 and mayor in 1610. He had three sons: Simon, Edward and Francis. Edward Fanning had a son Nicholas who was sheriff in 1625 and mayor of Limerick in 1630. After the confiscation of his landed property he was transported to Connaught in 1653-4. Simon Fanning the eldest son of Clement Fanning served as sheriff in 1600 and mayor in 1615. He died in 1636-7 leaving five sons: Dominick, John, Bartholomew, Richard and James. Francis Fanning, third son of Clement Fanning, served as sheriff in 1632-3 and as mayor of Limerick in 1644. At the time of the Confiscations in 1653-54 Francis Fanning’s estates were forfeited and he received sentence of transplantation to Connaught 1653-4. Francis had a son Edward or Edmund (the names Edward, Edmund and Edmond are synonymous) who also was to be sent to Connaught. (The province of Connaught is located on the north west coast of Ireland and comprises the counties of Galway, Mayo, Sligo, Leitrim and Roscommon) His name is given as Edward Fitz-Francis Fanning on the Transplantation Certificate. This Edward, son of Francis, emigrated in 1653 or soon after to America and settled in Connecticut. Edward was born in Ireland about 1620, was married there about 1649 and died in Stonington, Connecticut on 19th August 1683. Clement Fanning of Fanningstown, his son was Patrick Fanning, sheriff Limerick City 1576 died 1612.Patrick’s son was Clement Fanning, sheriff of Limerick 1595 and mayor 1610. He had three sons Simon (dies 1636-7), Edward and Francis. Simon had five sons: Dominick, John, Bartholemew, Richard and James. His eldest son Dominick served as Mayor of Limerick three times and was executed in 1651 for taking part in the great Rebellion. His head was placed over St John’s gate where it remained for several years. Francis was the father of the Edmund who emigrated to America. Numerous high offices were held by those of Fanning name in Limerick county prior to 1652. In the County of Clare a Dominick Fanning, a Nicholas Fanning and a Thomas Fanning had lands confiscated. Tipperary separated from Limerick as a separate county around 1254. John Fanning is the first of the name to be recorded in 1285 in the County of Tipperary. Thomas Fanning was granted land in Kilkenny in 1279. Gilbert Fanning was in possession of lands in Kilkenny in 1316. Thomas Fitz-Gilbert received a grant of the Manor of Mohober in 1332. Mohober, in the Parish of Lismalin, Barony of Compsey, County Tipperary, was for several centuries a manor of the Fannings. Hugh Fanning was appointed by Edward III a commissioner of the peace for the County of Tipperary in 1358. He was granted lands in the Manor of Ballingarry. In 1545 Henry VIII granted lands in Kilkenny to Oliver Fanning. In 1570 he is mentioned as holding land by knight’s service in the Manor of Knocktopher. William Fanning was a landed proprietor in the Barony of Kells, County of Kilkenny in 1570. He died in 1570. He left his estates in trust to James, son of Thomas Fanning of Ballingtaggart, County of Tipperary; Robert, son of Walter Fanning of Mohober, County of Tipperary; and Richard Fanning of Kappaghintallagarry. His second son William succeeded to the estates. William Fanning of BallyMcCloghny was constable of the Barony of Gowran, County of Kilkenny, in 1608. Geoffrey (or Jeffrey) Fanning of Fanningstown, Ballingarry, County of Tipperary was elected in 1642 to represent the Manor of Glengall in the Confederate Parliament and served in the assembly until its dissolution. After the Cromwellian conquest he retired to the Continent, where he served under Charles II until the Restoration in 1660, when he returned to Ireland. He was granted part of his estates confiscated during the Crowellian regime. This grant confirmed in June 1668 was upwards of 2000 acres in the Baronies of Slievardagh and Compsey, as well as the manor house and land at Ballingarry. In 1652 a law was passed by the English Parliamednt confiscating upwards of ten million acres of land in Ireland. The owners to be transplanted to Connaught. Certain desolate parts of the Counties of Mayo, Sligo and Leitrim were set apart for the transplanted. Nicholas Fanning, Francis Fanning, Edward Fitz-Francis Fanning, Madalen Fanning, Martin Fanning, Mary Fanning, William Fanning, Thomas Fitz-Clement Fanning, Edward Fitz-James Fanning, Michael Fitz-James Fanning, and Thoma Fitz- Patrick Fanning. (Fitz is of Norman origin and denotes son of). To be transplated from Tipperary were Edmond Fanning of Gortfy, William Fanning of Farrenroe, Nicholas Fanning of Clonegall and from Kilkenny James Fanning of Knocktopher. All the above Fannings settled in the Parish of Feenagh in County Leitrim and were never restored to their estates. On the Restoration of Charles II some lands and estates were restored. Goeffrey Fanning received a grant of his manor house and 2000 acres of land in Tipperary County. William Fanning of the County of Kilkenny received 531 acres of land in the Barony of Ballymoe, County of Galway in 1668. Not one member of the Limerick Fannings is on record as receiving any compensation for the loss of his estates. A Lieutenant John Fanning served in the Spanish army under the banner of the exiled Charles II and was killed in Prague 1648. He may have been from the Tipperary branch of the family. It is under the circumstances of the Cromwellian confiscations and transplantings that Edmund Fanning and his wife Ellen emigrated to America and settled in Connecticut around 1853. The immediate ancestry of Edmund Fanning, the American Immigrant Ancestor, and his descendants in America is traced in the diary of Nicholas Schenck. Nicholas W. Schenck (1830-1916) was the son of Eliza Ann Fanning and William Schenck. He was born in Brooklyn, NY on January 8, 1830. 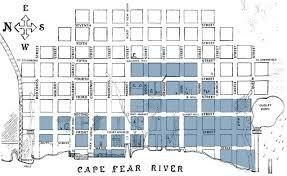 The family moved to Wilmington NC in May 1836 after the death of his father and lived with an uncle, Phineas Fanning. Schenck lived in Wilmington until 1865 and visited often until his death in 1916. The diary was written around 1905 and recalls Wilmington before and after the civil war.